This is my first 100% hand spun dress. 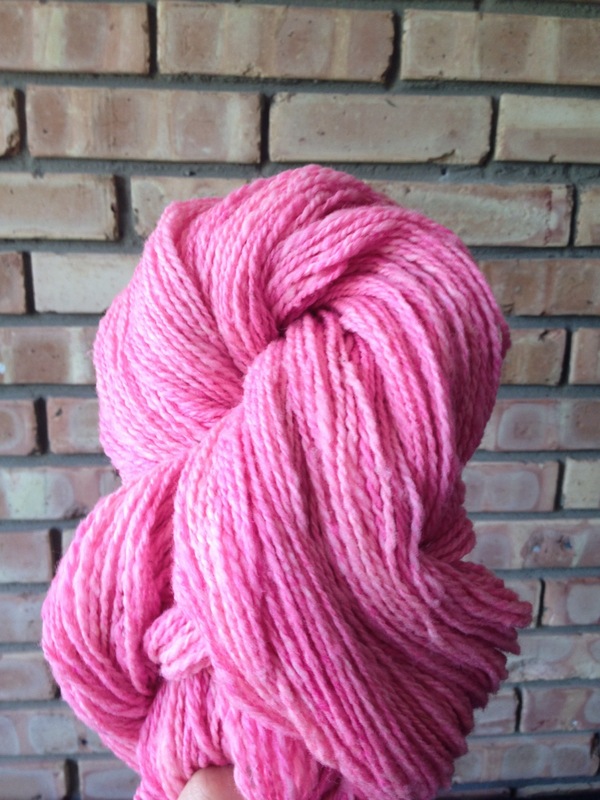 I made it from finely spun single-ply Portuguese Merino, to which I added a few bits of hand dyed silk/merino roving I got during a sale. There are various tones of blue and pink alternated with rich golden oranges. This was 2 year project, from start to finish. 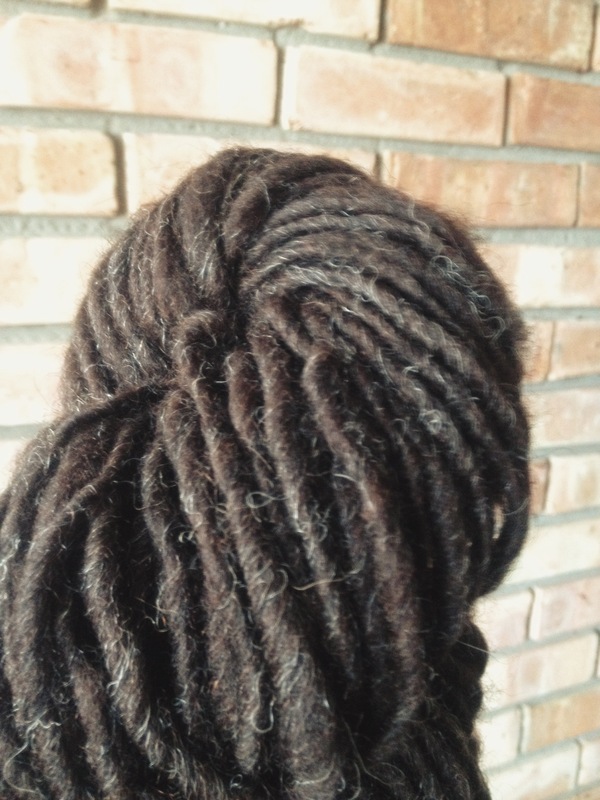 It is very light and warm and I am extremely happy with the shape of it. Overall, this is a really happy ending to a mammoth of a project. Technical details here. Este é o meu primeiro vestido 100% feito por mim. 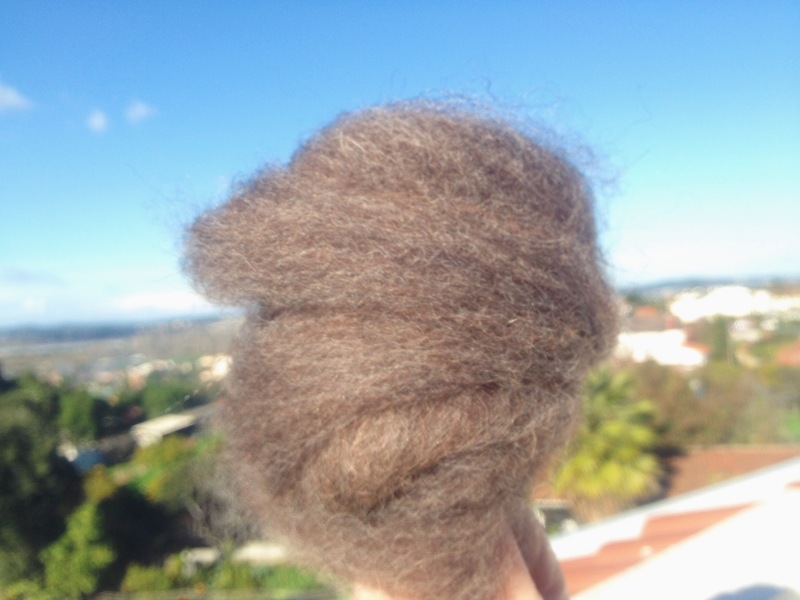 O fio é de merino português, lavado e fiado por mim, misturado com bocadinhos de seda-merino pintada que tinha comprado. As cores vão do roxo ao azul, intercalados com tons de dourado. Demorei 2 anos, do princípio ao fim. É muito fino, leve e quente e gosto imenso do corte. O tecido tem resistido bem ao uso. Houve momentos em que isto me pareceu um projecto demasiado ambicioso – mas nunca me pareceu demasiado complicado. E a verdade é que saiu melhor que a encomenda. Detalhes aqui. It was in progress here. I finally finished it in August and left it in Portugal, with its new owner. The photos were taken in a hurry, and they don’t do justice to the subtle natural grayish brown of the sweater’s body, but they show off the yoke pattern (which I adapted from the original model to use only three colors). Its my first lopapeysa, but not my last. 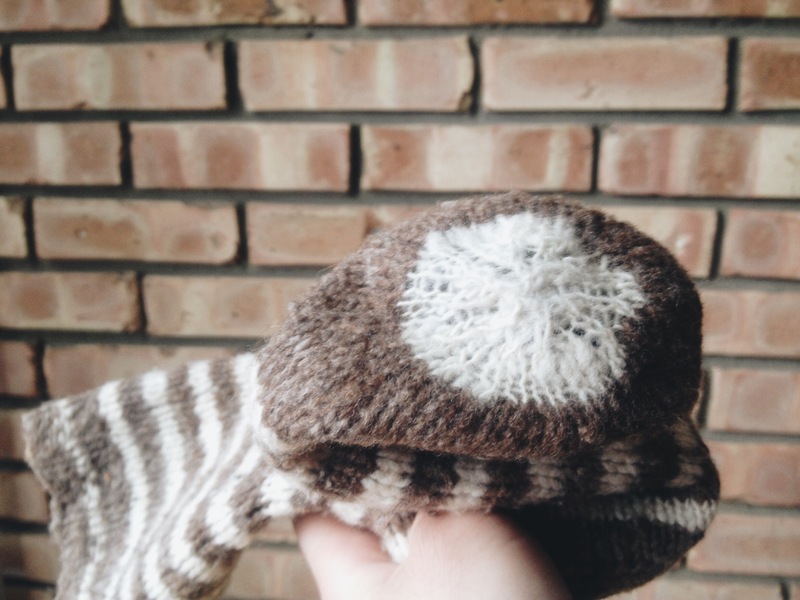 I loved knitting this so much I already have another one on the needles (I did stock up on yarn in Reykjavik ). The body is a pleasure to knit and doesn’t take too long. And then you get to the challenging part. Figuring out the three colors at once in the yoke took me a minute. 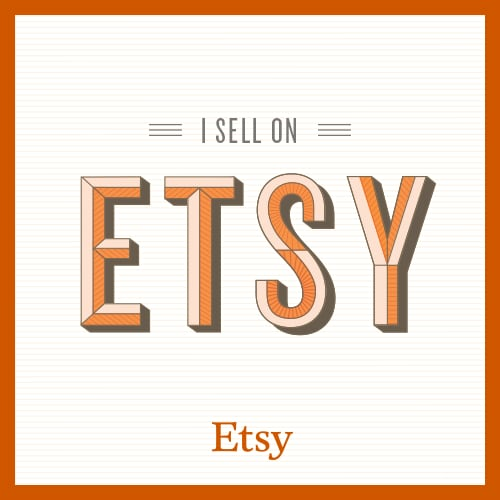 More info on modifications on Ravelry. 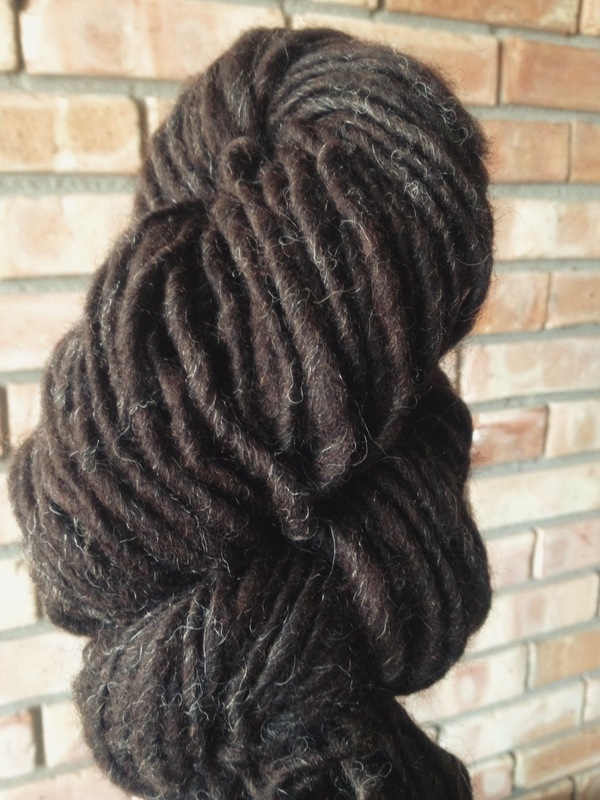 Took months, but I am very happy with this squishy 200 g – perfectly-balanced! 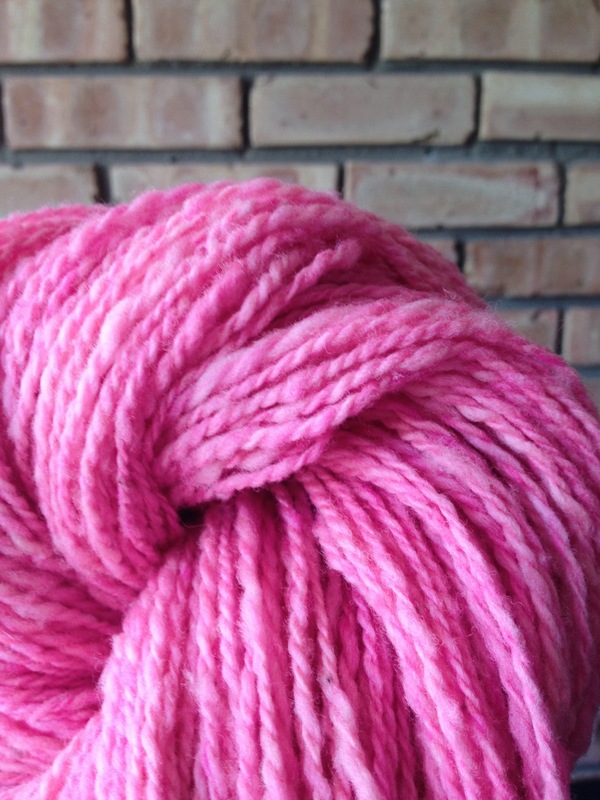 – mega Portuguese Merino skein in pastel pink hues. 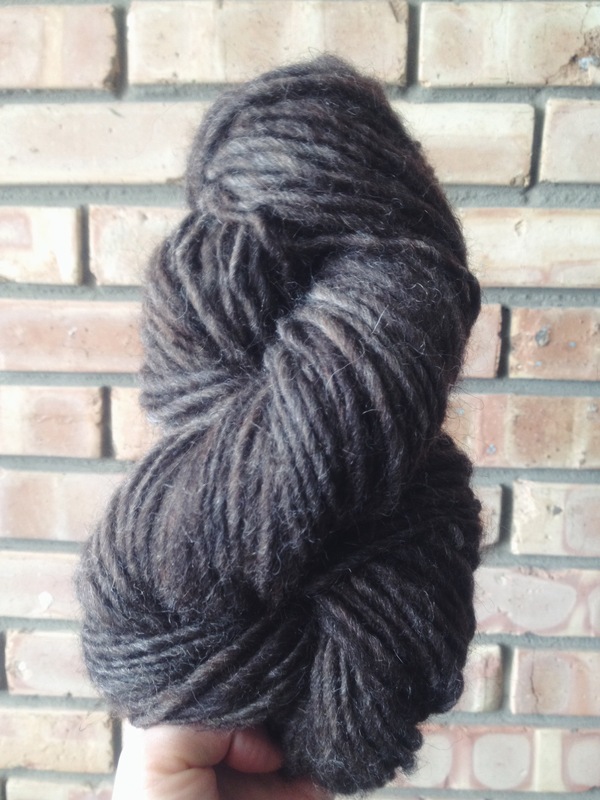 I feel I have made progress in my spinning technique and in making this wool shine at its best. Demorou meses, mas ficou óptima. 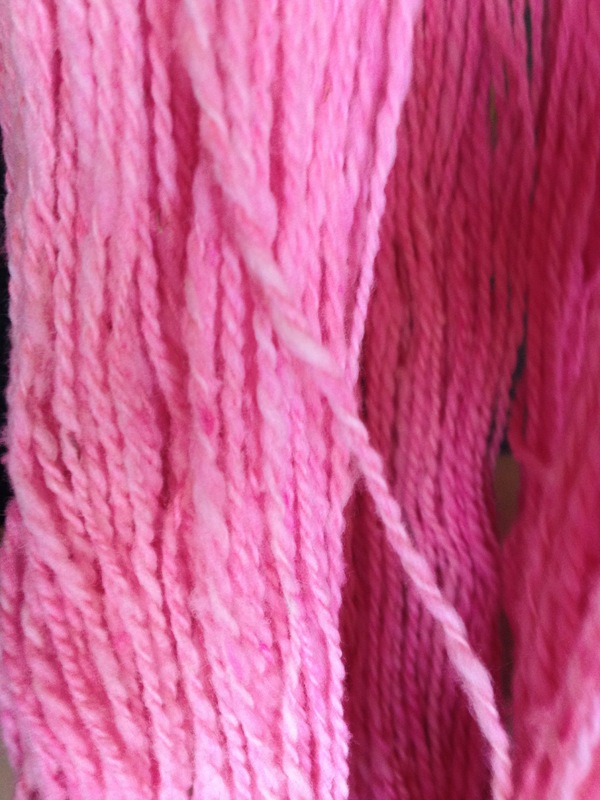 Uma mega meada de Merino com 200 g, sem torção a mais nem a menos, e em tons pastel. Fico contente com os meus progressos técnicos, mas sobretudo com o aproveitamento que tenho feito desta lã e das suas características. Conhecer o material demora. Maiami is a Berlin-based knitwear company, run by designer Maike Dietrich and handmade in Germany and in other European locations. Their specialty are these puffy, fuzzy mohair sweaters. In bold colorblocks or soft pastels, the thing that I love most is how they make ‘chunky knit’ designs work . The mohair gives drape and wearability to oversized pieces in a way few yarns would. I am quite taken by the pleated yoke design and can’t wait to try to do something like this myself. Maiami é uma marca baseada em Berlin, criada pela designer Maike Dietrich. As peças de que mais gosto são estas camisolas em mohair – a especialidade da marca. Com tons suaves ou em blocos de cores garridas, são sempre extremamente fofas. Combinam a forma ampla (o tal look ’oversized’) com um fio extramamente maleável e fino em mohair. O resultado é, não só uma peça visualmente interessante, mas uma camisola que realmente apetece vestir. Os meus velos favoritos são provavelmente estes de Churra Bragançana que nem são cinzentos, nem castanhos. Como me ensinaram no Tennessee, são “rose grey”. Finalmente decidi começar a trabalhar com eles. Estas duas meadas são de um saco de lã de segunda qualidade, penteada em Dezembro, que trouxe numa caixa, na mala, para os Estados Unidos. Uma maravilha para fiar, a lã penteada é extremamente fofa e regular. No que toca a preparar Churra, nada chega a um bom par de pentes e a pouca torção na roda. 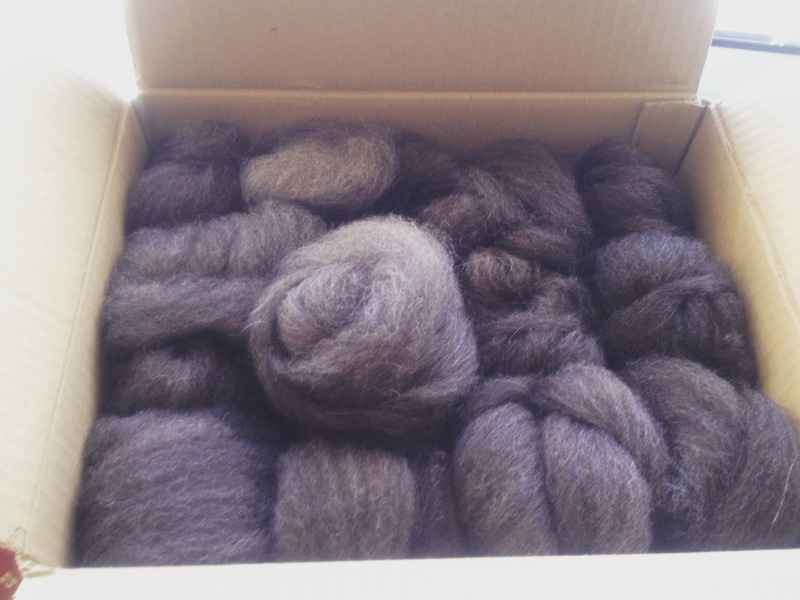 My favorite wool fleeces are the rose grey colored Churra Bragançanas that I have been hoarding over the years. I finally decided to start working on them. These two skeins are from a 2nd grade bag that I combed in Portugal in December. 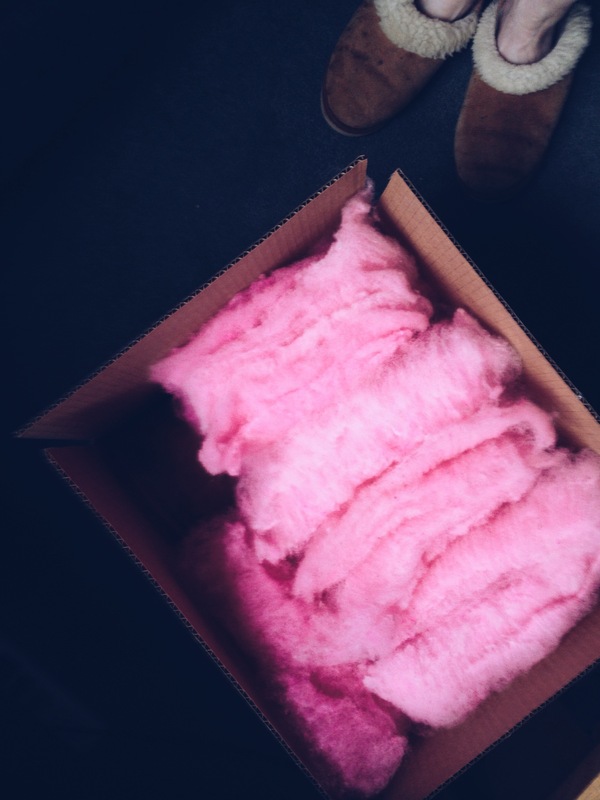 Packed the combed wool in a box and brought it with me to Michigan. 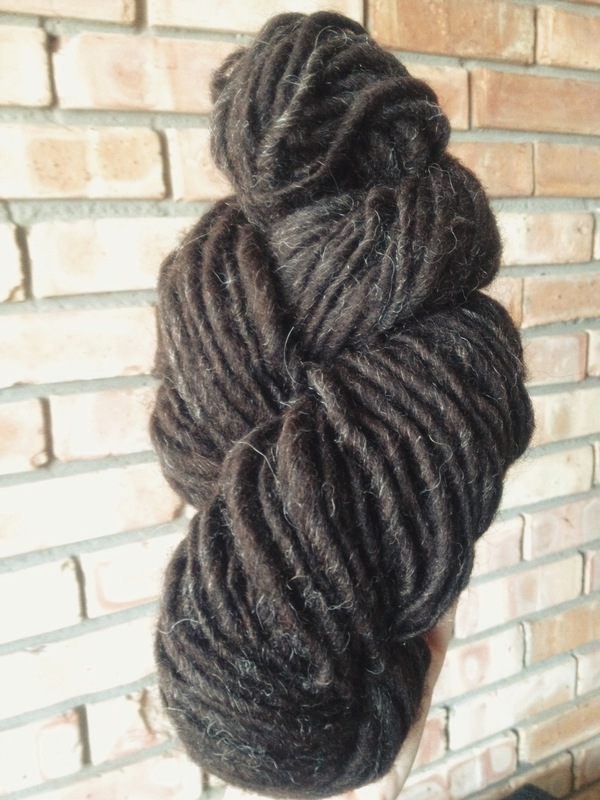 It was a dream to spin, super soft and evenly layered. When it come to Churra, the magic formula for me is a good set of combs and just a little twist on the wheel. 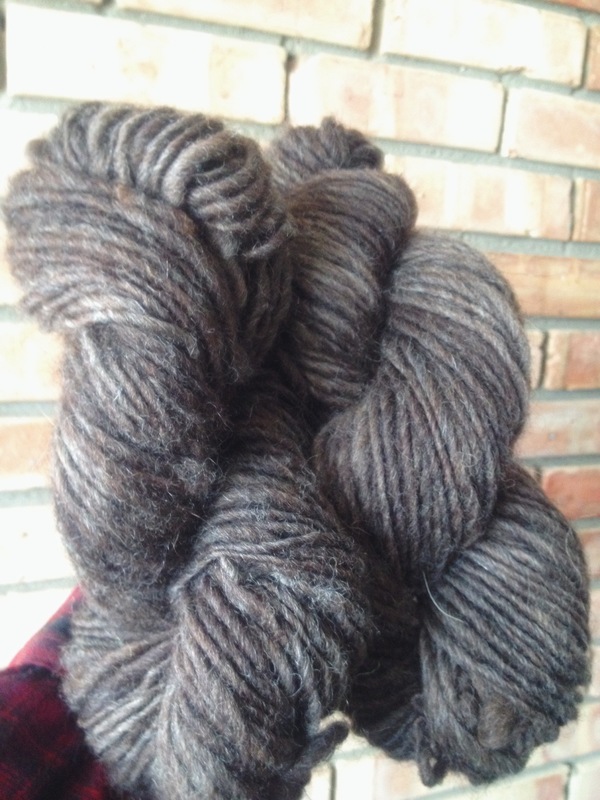 Finally got around to spinning a box of combed churra from a couple of years ago. This was a lamb fleece, extra soft, but with some annoying staple length variation. 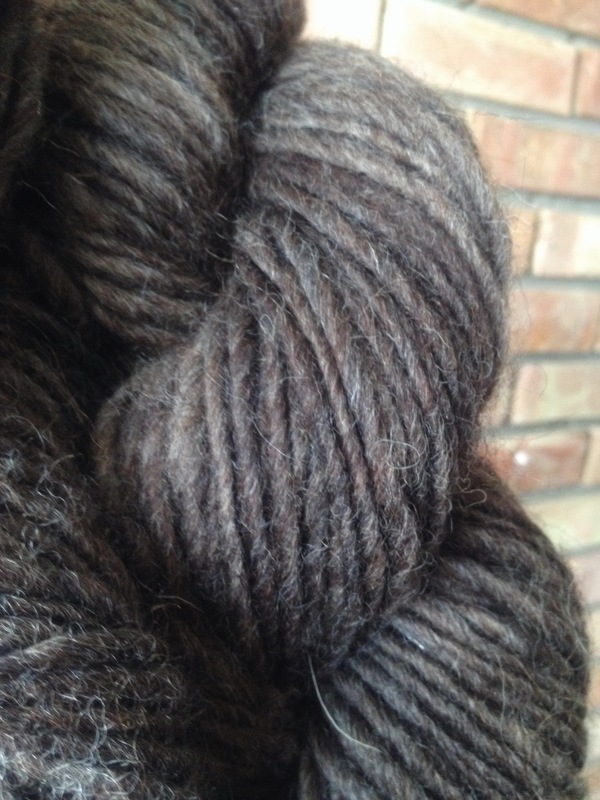 The dark chocolate brown is hard to capture, but this is a really nice yarn – softest churra to date. 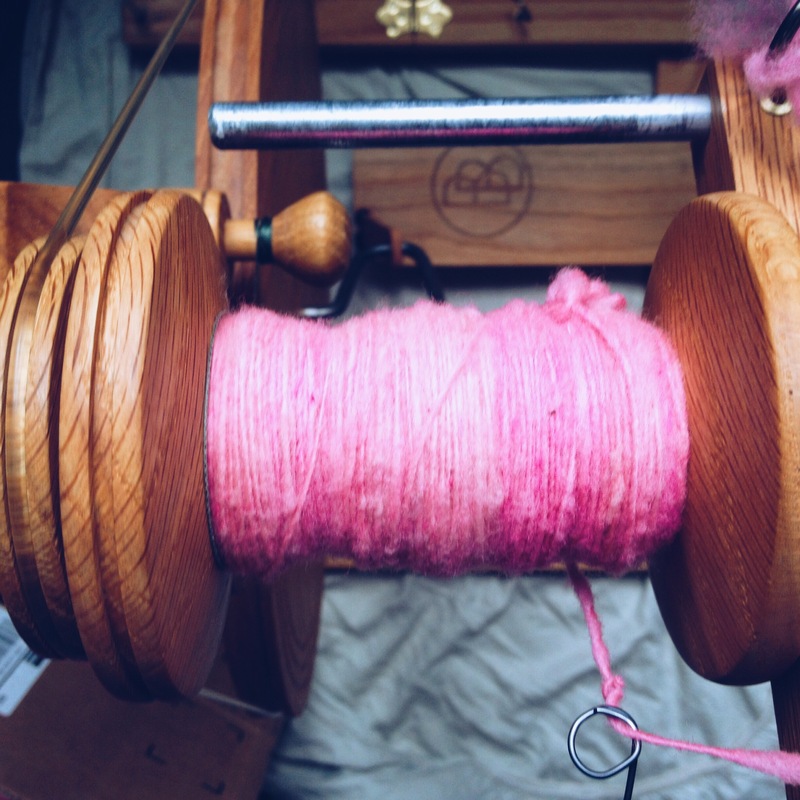 I spun it on my blue bonnet spinning wheel trying my best to give it just enough twist and no more. I like my churra yarns as relaxed as possible. And I finished some others….